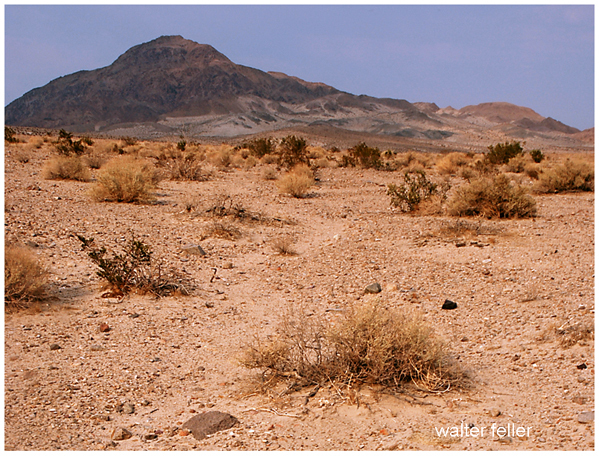 The forces that created the Mojave Desert made a river that runs away from the sea and far into the desert. Water from the mountains and desert plains come together in the rocks and sand where it sinks below the surface disappearing into a broad, dry wash. 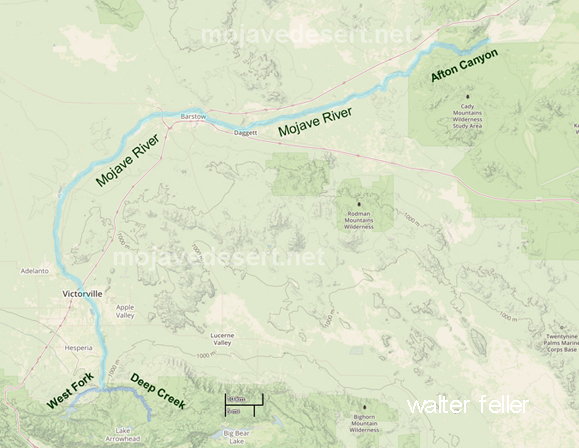 The constant shuffling of forces within the Mojave block created faults and impermeable obstructions that force the flow of this hidden river to the surface at points along its length. With their steady supply of water these springs were thick with flora and fauna. Wild game naturally wore trails from one waterhole to another. Indigenous people came and lived in small groups near these water sources. Game trails developed into subsistence loops and from these found trails leading to chains of springs bisecting the heart of the desert. Generally spaced one day's walking distance from each other these oases and seeps made it possible for man to cross the desert on foot without being overburdened by carrying water. 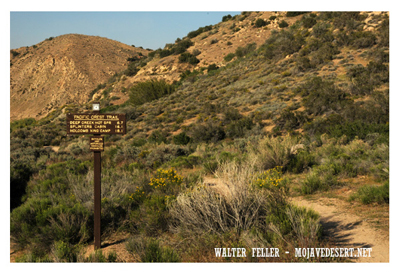 The Mojave Indians living on the Colorado River used these trails to cross the Mojave to trade and communicate with their cousins, the Chumash, on the Pacific coast. 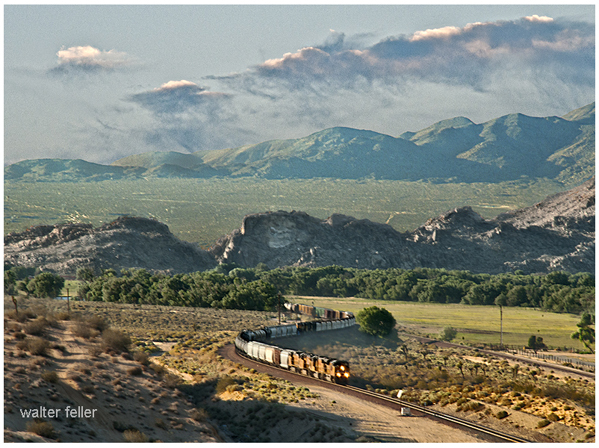 Likewise with trails to and from the northeast toward Utah, and north and south along the eastern Sierra Nevada. 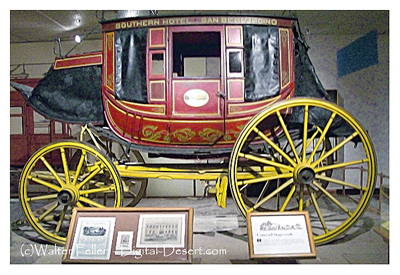 Explorers, then traders followed these same trails and soon found and recorded connections with more springs through trails from the Mojave River that traced their way to Salt Lake in Utah. These springs were the niches that horse thieves would water their hundreds and even thousands of Spanish horses stolen from the southern California ranchos on the run to New Mexico. 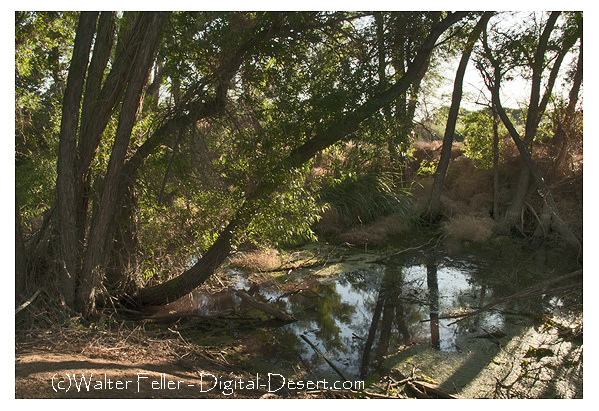 This braid of springs and footpaths was to become known as the Old Spanish Trail while the southern east/west trail became familiar as the Mojave Road. The springs were basis for way stations, outposts and redoubts. With the increase in traffic the trails swayed and split apart joining again in a few miles or past a few valleys or ranges in order to accommodate the changing conditions of nature. Railroads came through in a roundabout way avoiding abrupt changes in elevations and adding an alternative, gradually sloping alignment. Wells, to supply water for the trains, were dug and developed. Small communities began to appear along these water stops and road junctions. 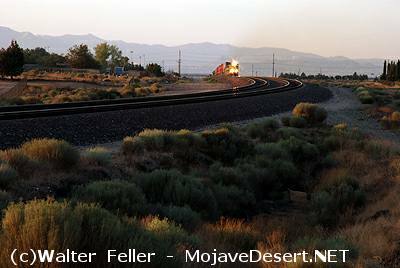 All freight crossed the Mojave by rail. Travel by rail was preferred and elaborate depots were built to provide first class lodging and meals at key locations. 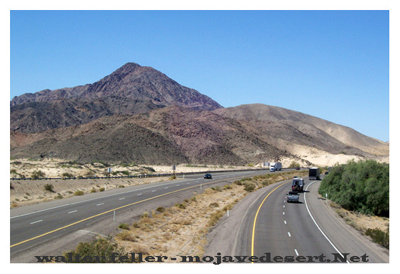 "In 1913 the desert was virtually roadless. The few roads there were not much more than a couple parallel ruts made from driving on the old wagon trails and back and forth from remote ranches. Motor travel had taken root and was growing rapidly. 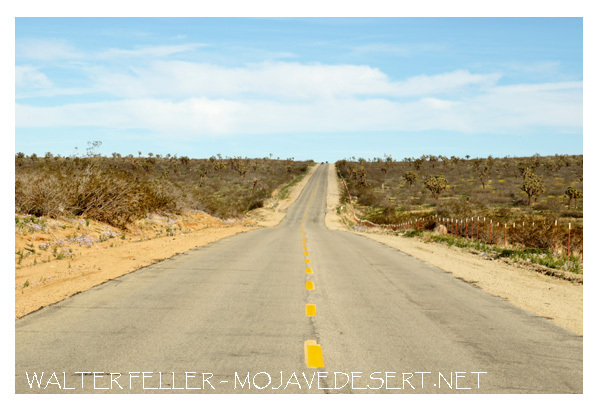 Some parts of the roads were oiled and some parts were poorly paved, but most of it was rough and ungraded with long, sandy stretches through wilderness. As automobiles became affordable and commonly used the age of the horse and wagon was, for the most part, over by 1920. By motor it took 3 days to cross the desert from San Bernardino to Needles at the Colorado River. 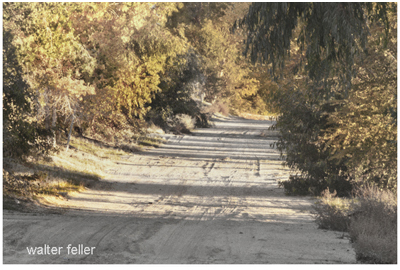 In 1926, once the National Old Trails Highway was paved from one end to the other, variations and cutoffs such as the Arrowhead Trail and Silver Lake Cutoff merged into this network braiding another branch of the corridor into the same general alignment as the Old Spanish Trail. In 1958 the interstate highways were introduced. These freeways were built to be faster, more efficient, and less reliant on stops for water, food or fuel. Highway design became streamlined and reflective of high speed and non-stop travel. The old two lane highways along the river were nearly abandoned with the exception of local and secondary use. Through all of these changes and advancements , two basic alignments persisted and ultimately became our streamlined I-15 and I-40 freeways. Rather than perilous crossings demanding weeks of hardship and slow and primitive travel, moving across the Mojave Desert has become an enjoyable air-conditioned experience of only hours, passed in luxury and comfort with beautiful scenery--All borne from the trails between the fractured pieces of our Broken River. Older tours which may, or may not be removed from the project.